are many coffee shops and cafes tucked in just about every corner of town, and there are even multiple drive-through options for your morning Cup of Joe. 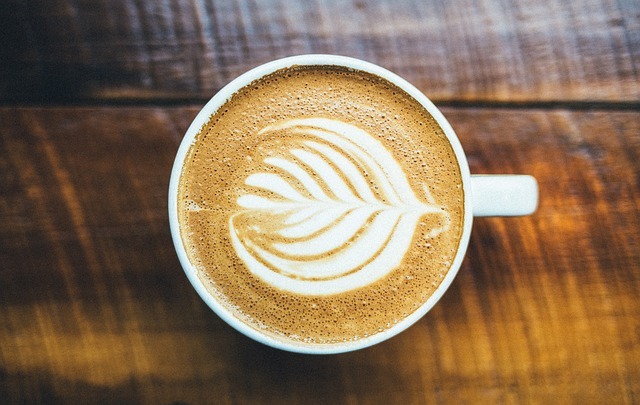 We definitely love our coffee and local preferences tend toward small batch, fair trade, and organic options; as well as the occasional breakfast sandwich, snack or bagel to go along with it. With those criteria in mind, here is a list of the 10 best coffee shops you’ll find in Santa Cruz. Verve has your caffeinated beverage needs covered in most parts of Santa Cruz. The downtown location is the perfect spot on Pacific Ave. to grab a cup of coffee, do some people watching, stroll through downtown, or set up shop with a laptop to get some work done. You can also visit their roasting facility in the Seabright neighborhood, located in what used to be a local cannery. downtown, the spacious cafe has a variety of organic, fair trade coffees. Aptos.) The downtown cafe has some outside seating and plenty of room inside to get work or studying done while enjoying a freshly brewed cup of coffee. town. They have many choices when it comes to beverages, caffeinated or otherwise, and have a nice selection of pastries and desserts. While coffee lovers enjoy Fins, they also have some of the best chai in town. good, all in an atmosphere that is unlike any other coffee shop in town. Lulu Carpenter’s is in an old brick building at the end of Pacific Avenue and has the distinction of being one of the first downtown businesses to reopen following the damages of the 1989 earthquake. Coffee Cat, which is in nearby Scotts Valley is under the same ownership of Lulu Carpenter’s, which also operates a small drive-through location in the Whole Foods parking lot in Midtown Santa Cruz. workers and students on their computers. The coffee and selection of other beverages are very good and the atmosphere makes for a place you want to spend some time in. They do not have a large food menu, but some snacks and pastries are served. the most popular of the three and is next to the Seabright Brewery. Java Junction serves up fantastic small batch coffee that’s made daily, as well as a number of other drinks, smoothies, bagels, pastries, and sandwiches. food menu, but they do carry snacks like bagels and pastries in addition to their tasty selections of coffee and tea. It’s not always an easy parking lot in which to find a spot since it shares the area with other businesses, but the coffee is well worth it. Their mochas and lattes are also delicious. Coffeetopia, adding to its distinct local charm. theater downtown. There is a small amount of seating, both inside and out, and it has a European feel to it—something that also shines through in their coffee and food selections. The coffee is great and it’s an easy place to pop into for a quick cup if you’re downtown or want to enjoy a morning breakfast on the patio.